In a dark, enclosed school gymnasium, nestled away in the shires of England, Imran Khan changed his game forever. A little bit smaller than a tennis court, with wooden climbing bars adorning the walls and criss-crossing the windows, it was the type of sports hall commonly found in schools up and down the country. 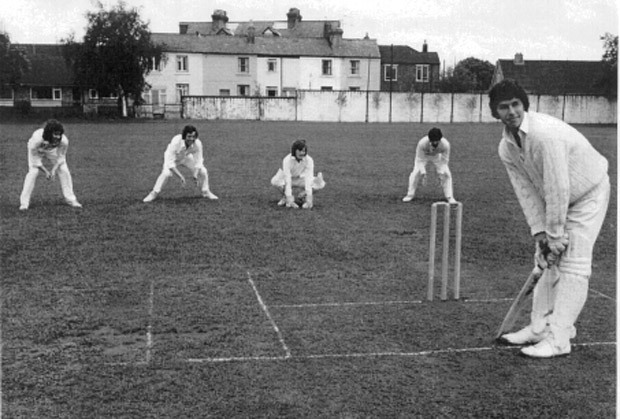 And it was here, a few yards from the boarding house that he would call home for almost a year, that the 18-year-old Imran spent much of the winter of 1971-72, learning to bowl fast. 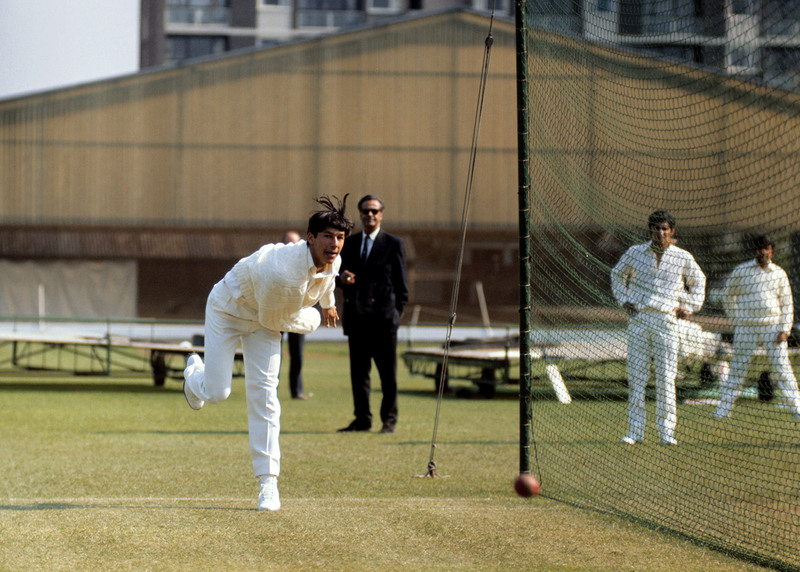 Spurred on by his nightmare Test debut against England at Edgbaston earlier that year, Imran began changing his bowling action. There was to be no quick fix; only a complete dismantling and rearranging job would accomplish his wishes. An unrecognisable metamorphosis: from a whirlwind of arms and legs into an elegant, rhythmical rage. 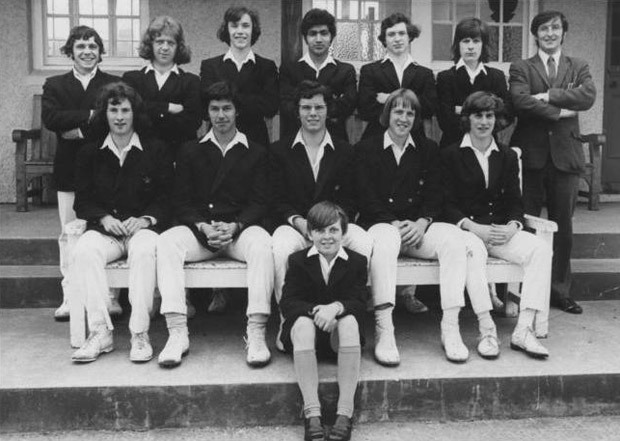 In the summer of 1971, months prior to his arrival at the Royal Grammar School Worcester (RGS), Imran had been under Worcestershire County Cricket Club's care, turning out for their 2nd XI. It had resulted in little success on the pitch, leaving some of the senior players to remind Imran of his rawness. "When he first came to Worcestershire, he was a young lad," says Glenn Turner, the former New Zealand captain who played for Worcestershire across three decades and was, according to Imran's autobiographies, "unimpressed" by his bowling. "I tried to encourage him to concentrate a bit more on accuracy and length as he was spraying it all over while trying to bowl at pace, and he didn't heed that advice because he wanted to be a fast bowler." 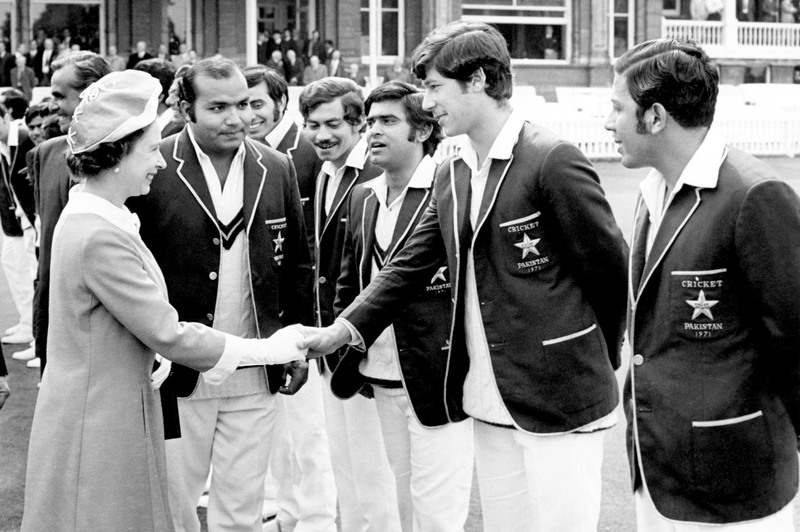 Six 2nd XI fixtures filled up Imran's time following the end of Pakistan's tour in 1971. A five-wicket haul against Nottinghamshire and a score of 110 out of 222 at Derbyshire were standout performances in an otherwise tepid introduction. Enough was shown, however, to persuade the club to include him in their side when the touring Indians were welcomed to Worcestershire's New Road ground. Imran made 0 (run out), 15, and failed to strike with the ball. When he arrived at RGS in September 1971, as part of the agreement with Worcestershire CCC, the extraordinary spectacle of a Test player wowed his fellow pupils. For Imran, a place at either Oxford or Cambridge University beckoned if he could gain the grades required. Only the small matter of passing his A levels in the space of nine months needed to be overcome. Bowling fast continued to occupy Imran's mind, though. Overhearing two Pakistan team-mates questioning his ability following a tour game in Scotland had troubled him. "I was so angry and humiliated that I vowed that I would prove them wrong; I would go back to the drawing board and sort out my bowling action," he revealed in his first autobiography, Imran. As hard as he tried, the pace he yearned for eluded him. Longing for Pakistan, and the boredom of rain-filled winter days stuck inside revising, didn't help matters. Imran felt "homesick" and "really began to miss Lahore and family", as he later admitted in his 1988 autobiography, All Round View. The breakthrough came in the form of John Parker, a young New Zealand batsman who had joined Worcestershire at the same time as Imran. Parker offered to help Imran remodel his action, and his resolve was typified by the tale of him paying his own passage to England in search of a cricketing career. He possessed the will required to thrive, and in Imran he saw someone with the same hard-working values. With only a year separating the two, a rapport was struck up, the pair rooming together in club lodgings above a fish-and-chip shop during the summer of '71, prior to Imran's school commitments. A keen pupil of technique, and as Imran noted, "a walking, talking MCC coaching book", Parker further broadened his knowledge by taking a coaching course at Lilleshall, a tiny village lost in the Birmingham countryside. Parker learnt much there under the "brilliant coaching" of course leader Harry Crabtree, who helped Parker reassess and refine his own methods, which would prove so useful to Imran. 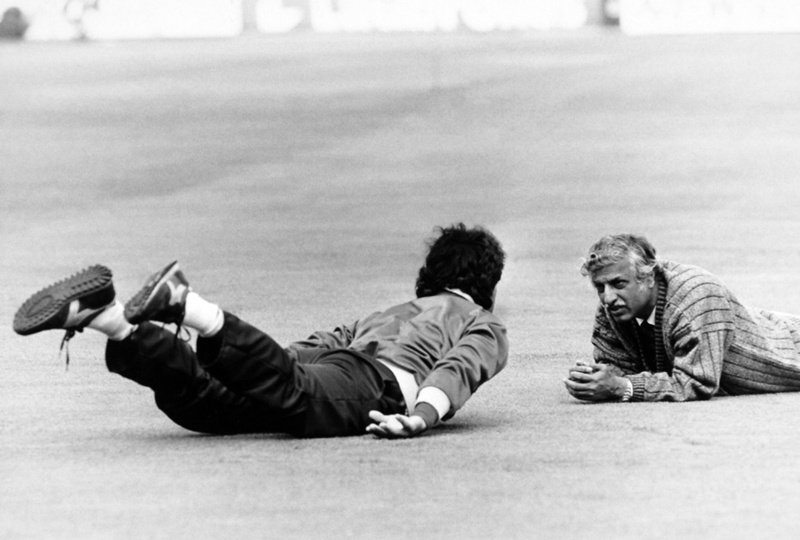 "Imran had an action like Jeff Thomson," Parker, now a sports consultant, recalls. "His right leg would go behind his left foot and with his back facing the batsman, it put a huge strain on the back, left hip and left knee. We spent many an evening at the school gymnasium practising and practising. It was a basic technique, centred on getting your right foot parallel to the bowling crease. This helps to get you side-on, and then you can coil yourself up while in the air. "Then, when you land and transfer momentum from your run-up, you propel your weight onto your left foot, and as you're doing that, your arm comes over and you enter a fairly smooth follow-through. It wasn't very difficult to do - not difficult at all for a guy like Imran." Measuring less than a full cricket wicket, the school building they practised in necessitated a stunting of Imran's run-up. Practising only with tennis balls, and going against the housemaster's wishes of using the facility for such purposes, Imran trained frequently, focusing on leg movement, rotation, and his follow-through. The determination was well rewarded. The jump that characterised his bowling was born. Bounding in, hair bouncing with each stride, Imran would jump and twist side-on, his front knee raised high before it was planted back down just before releasing the ball. Thus he stamped his authority on proceedings, sending tremors through many a batsman. Parker would attend training whenever possible to advise, but it was a fellow boarder at the school who accompanied Imran most often. Rabi Mehta, born in Kenya, was entering his final year when Imran showed up to start his studies at RGS. A keen cricketer himself, and part of the school team, Mehta instantly bonded with Imran. While Imran was described as "distant" by some of his peers - and it seems he held back from many - Mehta had no such problem connecting with him. "It helped that we lived together," Mehta, who would go on to work for NASA and also research cricket-ball aerodynamics, concedes. "I shared a room with my cousin, and Imran was nearby. Imran loved Indian music, and we'd often find our tape recorder had gone missing, invariably into his room. He'd play Mohammed Rafi on repeat." The two could regularly be found in the school gym either playing cricket - rules dictating the ball had to be hit along the ground at all times - or working out in the basement, which also housed weight equipment. There, Imran would concentrate on a series of exercises to strengthen his back. His favourite involved lying flat, face against the floor, then lifting his head and legs simultaneously. This practice would become a ritual of his, ultimately helping to prevent injuries that affected many fast bowlers later in their careers. Importantly for Imran, the experience was an enjoyable one. Self-motivation was one thing, but to complete the task with well-natured competition and an element of fun made it all the more manageable. Imran didn't understand the rules of rugby. Not that the teacher who drafted him into the team minded. They were simply happy for the well-built addition bolstering their ranks. Deployed on the wing, his natural athleticism and quick feet made for a mesmerising sight. It also meant he received fewer crunching tackles. "He had no idea, they just put him in," Mehta says, chuckling gently during our phone interview. "It may have been the first time we played against another school, but he was thrown the ball and didn't know what to do with it. Everyone was shouting for him to run forward. He did well in the end. He liked it for the fitness." The slurry of turned-over mud created by the rugby soon emerged as lush green grass when cricket was back on the school agenda. Nets passed Imran by, his education and practice with Worcestershire taking precedence. He committed to school matches where possible, although atrocious weather reduced these opportunities. Whenever unavailable, Mehta - Imran's school opening bowling partner - gleefully stepped in to fulfil autograph requests by players from other schools. No one ever questioned him. Few, if any, had previously seen Imran, and Mehta ensured the scribbled signature was illegible. It was generally agreed by school team-mates that Imran played within himself, only unleashing his best when provoked. "It took a lot to rile him," remembers Martin Claytor, who opened the batting with Imran at RGS. "However, on one occasion a batsman edged him behind, didn't walk, and later admitted he'd nicked it. Imran proceeded to bowl extremely fast." Despite Imran's shy exterior, his school team-mates found him pleasant to deal with and open to passing on advice when prompted. He even joined in with the team's trips to the local pub - milk being his tipple of choice. A central figure by the end of the season, Imran finished top of his school's bowling (7.50) and batting (58.80) averages. Walking up to Parker, Imran smiled wide. It was a knowing, accepting kind of grin. The year was 1974 and Parker had scored 108 for Worcestershire against Oxford University (and had been dismissed by Imran for 25 in the second innings). Decked out in his Blues, and now captaining the student side after achieving the grades necessary to earn a spot at Oxford, Imran extended his hand to Parker and let out a congratulatory laugh. Not much had changed. But everything was different. Now in his second year at Oxford, Imran split his time between academia and playing for Worcestershire in the latter half of the season. No longer feeling isolated, he enjoyed the trappings of adulthood, though his youthful gusto was never far away. "Every time Imran came back," Parker says, "he would go, 'JP, JP, come to the nets, I'm getting faster.' And he'd bounce me constantly. No let up." Taller and stronger, Imran desired more responsibility. Impressive university form saw him recalled to the national team for their tour of England in '74. His international commitments that summer - he featured in three Tests and two ODIs - meant he only played a handful of times in one-day competitions for Worcestershire. The club managed without, winning the County Championship for the third time in their 109-year history. Spearheaded by the batting might of Turner and Ron Headley, and strengthened lower down the order by Basil D'Oliveira, Worcestershire pipped Hampshire to the title. Imran returned the following year, with a point to prove. He played consistently in the county's first team, making 22 appearances across all formats. Previous concerns from team-mates about his wayward bowling were calmed; the roaring inswingers of old were now shackled from their wild, uncontrollable contortions. Worcestershire failed to retain their league championship, though, finishing tenth. Imran was left frustrated, keen to win silverware himself. "It's not that easy for people to come into an English county team," Parker contends. "Because we had to give up a lot to go there, and we were very committed. Some of the English weren't as committed. It was on their front doorstep." Tensions came to the fore during the off season as discussions over wages at the club intensified. Imran, not for the first time, was dismissive of the accommodation provisions, too. 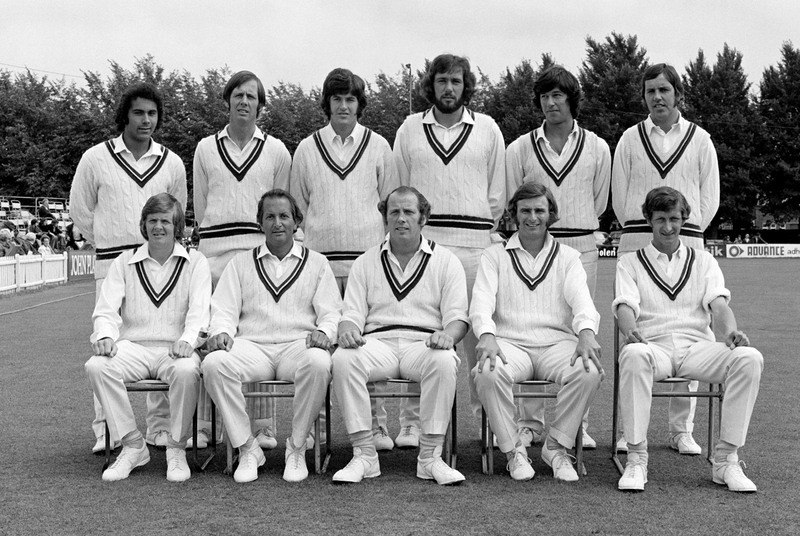 "We had a lot of unrest at Worcestershire over the winter of 1975 and some players got released as a result of it," says Phil Neale, a young player at the time, who went on to captain the county to a further two Championship titles. Regardless of the fallout, Imran's improving ability ensured the team and spectators were won over. "He hit a rapid 70-odd against Warwickshire [in a one-day game in 1976]," says former Worcestershire bowler Paul Pridgeon. "And I was there thinking, 'My God, this lad can really play.'" Wisden didn't hold back their admiration of Imran's '76 form either, recording that, "by scoring a century and taking thirteen wickets in an innings victory over Lancashire, he was identified as an all-rounder of world-class possibilities". Excitement shook Worcestershire that year. Thrilling performances from Turner, Alan Ormrod, Norman Gifford, John Inchmore and Imran propelled the county to a domestic 55-over final at Lord's. There they met a snarling Kent, a team built on crushing top-order batting and savvy bowling, led by the smart Mike Denness. Imran had bowled well, smothering the early onslaught, but then struggled during the chase. With both openers dismissed early and D'Oliveira down the order due to an injury, Imran fell to Derek Underwood for 12, caught on the boundary when going for a hook. Worcestershire were all out for 193, a galling end to an impressive cup run. By the end of 1976, the demanding fixture list, disagreements over pay, and occasional misunderstandings had taken their toll on Imran. "I think county cricket gives you a perfect cricketing education. However, after two or three years it does you damage," Imran would say in the 1993 documentary Leading From the Front. "It's just not possible to retain your enthusiasm playing six or seven days a week." Left dissatisfied at the burden the schedule put on players, preventing most from performing at their peak, Imran felt it resulted in the "passion" being zapped from the game. Passion was essential for Imran. It's what convinced him to depart Worcestershire for the livelier surroundings of Sussex in 1977. It's the desire that drove him to start the process of altering his bowling action into the electrifying force that would light up matches. It's the emotion that made him spend all those nights in the confined gymnasium, changing his future.